You are right, most gluten-free baked goods are loaded with extra sugar and carbs compared to gluteny foods. They are really something all of us should limit in our gluten-free diets. Something that might work better for you is almond flour. Almond flour is low carb and may be less of a problem for your blood sugar. A paleo type diet would be a good option I think. I don't know if you have an Aldi's grocery near you but they make gluten-free wraps. They may be a better choice than gluten-free breads. I am not sure of that though, it's just my thinking. One good way to do the gluten-free diet is to stay away from processed foods of all kinds for 6 months or so. That way you avoid a lot of carbs and preservatives and what not. Plus you save time not having to study ingredient lists so much in the store. You are still pretty early in the healing process IMHO. It can take 18 months or more to heal the gut. In the meantime you will be eating a diet that is generally much healthier than most people around you. The gluten-free diet takes some getting used to but over time it gets to be the norm. I assume you are eating eggs also? Meats, veggies, eggs, nuts and veggies is a pretty good diet IMHO. I had baked squash with low cal sweetner and coconut oil tonight. Plus ham and eggs. And nuts for breakfast. I think once you get used to eating differently you may stop wanting those other foods. Hopefully anyhow. Some people with DH do lousy on the blood antibody tests. They hoard all their gliaden antibodies in their skin instead of their bloodstream. So they may test negative on blood antibodies but still have plenty of antibodies in the skin. Sometimes they even flunk the endoscopy tests for the same reason. I use plain water to rinse foods. I suppose it might be better to use a little Dawn dish soap or some such on fruit like apples that is waxed. But I don't usually do that. It's a good idea to rinse foods off anyway to reduce germs. You never know what kid has wiped his nose on an apple in the produce section! Plus like Ennis said there is the wonderful in store bread bakery trend these days where they can have flour wafting through the air. My local Kroger seems to have a pretty good ventilation system set up so most of the heat from baking is exhausted and probably most of the flour with it. But you never know for sure. People working on making bread may have flour on their uniform sleeves and spread it around. Also the flour section is often messy with leaking flour bags spilling gluten around. So the stuff can be present in different areas in a grocery store. And get spread unintentionally. The person stocking flour may be stocking candy the next hour. I don't think buying organic is a bad thing. But I don't think it helps as far as avoiding gluten. The issue is cross-contamination of gluten on/in supposedly gluten free foods. And that cross-contamination can happen to both organic and non-organic foods. Some other foods to watch out for and avoid at first are dairy and oats. Many of us are lactose intolerant for several months after going gluten-free. That may go away though. And some of us are intolerant to oats like we are to wheat, rye, and barley. Oats can also be cross-contaminated in the processing or harvesting. Thank you all for that insight. Oh! My! Lanta! There is SO much to consider! I really don't know what I would do without y'all! You are right, there are lots of little gotchas out there in the gluten-filled world. That's why it is easier/safer to stick with whole foods at the beginning of the gluten-free diet. The list of ingredients on an apple or an orange or a steak is usually real short. So you can get out of the grocery store quicker by eating whole foods like those. Plain frozen veggies or canned are usually safe too. And fresh produce as long as you give it a quick rinse. It looks there are some available. Joint pain, abnormal routine blood tests, & celiac? Yes, taking the D daily is supposed to more effective for raising the vitamin D level. I have RX for 50K IU of D also. But am now taking 1000 IU daily as well. I guess the 50K IU is not always fully absorbed. I had joint paint but it didn't lead to celiac disease directly. My joint pain was originally caused by nightshades and vitamin D deficiency. Since i stopped eating nightshades years ago much of my joint pain went away. However I still get it sometimes and it is probably related to D deficiency. I've been low D for many years. I do have a RX for Vitamin D now though and it is helping. If you are low vitamin D it is supposed to be more effective to take a smaller dose daily than to take a large dose infrequently. So 1000 IU daily is better than 50K IU weekly. In theory. The usual celiac testing process is to get a blood draw for antibody tests first, and then an endoscopy later to check for intestinal damage. Does this look like d.h.? Has your son been tested for celiac disease? Allergic reactions can be elevated by celiac disease. At least in my case they were. I had bad allergies that decreased a lot after going gluten-free. My theory is the immune system is in overdrive because of celiac disease and so allergy type reactions are kicked up also. And since celiac disease is gene related, it is important to get all first degree blood relatives tested. Some research a few years ago found that it can take up to 18 months on the gluten-free diet to heal celiac damage to the gut. Not in every case but some. So it's not surprising that your digestion is not 100% yet and you still have off days. It sounds like you have a pretty good diet, but there may be a few things that could help. I don't know if you are consuming milk/dairy products but they often cause problem at first. So one thing you can try is eliminating all dairy from your diet for a while. Another thing that may help is eliminating sugar and carby foods like rice or white potatoes etc. These can cause gut symptoms if your gut flora is not optimal. They feed bacteria that can cause excessive gas etc. Another possible help is to eliminate oats. There are some celiacs who react to oats like they do wheat, rye and barley. Soy is another possible gotcha in the diet and is also a top 10 allergen. Spicy foods may cause upset also. Gaining some weight after going gluten-free is normal as your gut is healing and can begin to absorb nutrients more effectively. Also some people experience more hunger after going on the gluten-free diet which is normal and should taper off in time. Your body needs nutrients to heal and create new cells. So it is better not to do a weight-loss type diet when that healing process is on going IMHO. You are also right about bleach not being effective to destroy gluten. Gluten is not a germ even though our immune systems treat it like one. So disinfectants don't help. You should have to throw out your food though, or towels etc. Just rinse the bottom of the food containers off with plain water. Towels just wash them, no problem. We do generally suggest replacing scratched non-stick pans or plastic containers that had gluten in them, and colanders. The reason is it is very hard to effectively clean out those little scratches and such. Wooden spoons or bowls have the same issue. Although you can sand those down to a new clean surface. I keep some of my gluten-free food items in a separate dorm style refrig that others don't use. I also keep some silverware in a separate container and keep pots and pans in a separate place. I have my own toaster also. I rinse plates and bowls etc before using them because I live with gluten eaters. That just takes few seconds to do. I also often wash my hands before eating because there could be gluten traces on handles etc. It's helpful to put gluten-free foods on the top shelves of the refrig or cabinets. That way gluten crumbs don't fall down on it. It gets easier doing these things in time. Is there a restriction based on how many posts a person needs to make before uploading pics? Test results in the roof? Don't worry about the test numbers sounding high. Whatever the number starts at it should decrease over time on the gluten-free diet. What a high number means is that your immune system is producing a large number of antibody cells to destroy the gluten you are eating. Your gut lining tends to be destroyed along with it. That intestinal damage can cause malabsorption of vitamins and minerals. So it's a good idea to have a test for those nutrient levels. The thing is to keep as 100% gluten free as you can because the immune system is very sensitive. So any slip-ups in your diet can cause a a flare of antibody production and damage. The antibodies don't go away in a day or two either. They can stay active for weeks to months. Doctors use the Marsh scale to rate damage to the small intestine after taking biopsy samples during an endoscopy. The endoscopy is the 2nd step in celiac diagnosis after the blood tests. Please don't stop eating gluten until all testing is completed. If you do the test results won't be accurate. My Reintroduction Symptoms - Intolerance? I am assuming you didn't get tested for celiac disease before going on the gluten-free diet? If true, that's unfortunate as the celiac disease antibody tests depend on having been on a regular gluten diet for up to 12 weeks. The dairy reaction is a classic celiac symptom. Celiac disease can cause damage to the villi lining the small intestine. Those villi make an enzyme that digests dairy sugar (lactose). Without the villi, there is no lactase enzyme, and no sugar breakdown. That means the gut bacteria have a big sugar rush to feed on and start making lots of feeding byproducts. Very fartilicious and bloaty. Another thing, often it seems when we go gluten-free and then start eating gluten again the symptoms are worse than before stopping gluten. The immune system is already at a high state of readiness and it just needs a little bit of gluten in the water to start a full blown attack. Recovery from celiac damage can take 18 months or longer for some. Also you may be low on certain nutrients like vitamins and minerals that your body and brain need to function well. That can cause depression, fatigue and other unpleasant symptoms. There is a sticky at the top of the Coping with section called Newbie 101, which may help some. 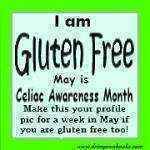 My guess is you have celiac disease but without testing it is hard to know for sure. The reaction to sugary foods is probably dysbiosis, a fancy term for gut flora being all out of whack. There's too many bad, nasty bacteria and not enough of the helpful ones. This can happen when your gut is damaged and digestion is impaired. DH is diagnosed by taking a small biopsy sample of skin next to (but not on) a skin lesion. You can go to a dermatologist for testing. You don't need an endoscopy to test for DH. DH is a presentation of celiac where the antibodies attack the skin. Some of us have additional food intolerances beyond just gluten. There is a possibility that the longer we have uncontrolled irritation/inflammation in our GI tract, the more foods we can become intolerant to. Can I trust this doctor? You need to be eating gluten for the tests to be accurate. So don't stop eating it before all testing is done. There are members on the forum who test positive on just one of the antibody tests. So you might test positive if they would give you the complete celiac panel, but it sounds like they won't. Many doctors don't seem to understand the basics of celiac disease and give poor advice about testing, judging from the multiple stories on this forum. There is a topic called Newbie 101 stickied at the top of the Coping With forum section. Check there for more info. Did you doctor test your for celiac disease? If not you should get tested right away, as the testing is not accurate if you have been gluten-free for long. Blood pressure meds causing refractory celiac! Interesting article! I imagine there are a lot of people out there taking olmesartan who would benefit from reading it. It's good that your symptoms improved from going gluten-free. That's great to have a diet based solution to a health problem. I think your stool symptoms could be caused by inflammation in the gut IMHO. It could be celiac disease causing your symptoms but could be something else too. If you aren't willing to be tested then stick with the gluten-free diet and see what happens. Be aware though that it can take 18 months or more to heal from celiac disease damage, so some symptoms can linger on after going gluten-free. Malabsorption of nutrients is a common problem for people with celiac disease. In celiac disease the immune system attacks the villi lining the small intestine and that damage interferes with the ability to absorb vitamins and minerals etc. This article discusses vitamins that people with celiac tend to be low on. This one talks about nutrients that vegetarians tend to be low on. You can see there are some common nutrient deficiencies for the two groups. So if you are vegetarian and have celiac disease you have a double whammy against your nutrient levels. So supplements may be helpful. Full body sensations, anxiety and fluttering heart. If you haven't been gluten-free for very long, you should get the blood tests done ASAP. The antibodies in the bloodstream decline when we go gluten-free and the tests become inaccurate or even useless eventually. Anxiety is symptom some people get from celiac damage. It may be related to deficiencies in vitamins or even gluten ataxia symptoms. Some of the B vitamins are used by nerve cells and they can't function at their best when the vitamin isn't available. Celiac disease can cause poor absorption of vitamins and minerals due to gut damage.